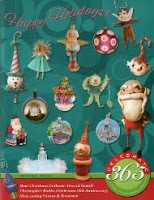 Happy Holidays: The Man-in-the-Moon Will be Having a Party. The Man-in-the-Moon Will be Having a Party. Those of you that have seen previous posts realize that I don't design any of the sculptures that I create. I have an idea and then start making the sculpture. I just don't have the details in place, actually I don't have much of anything in place. I just start blindly making stuff. The images are larger so click on them for a better look at the detail. 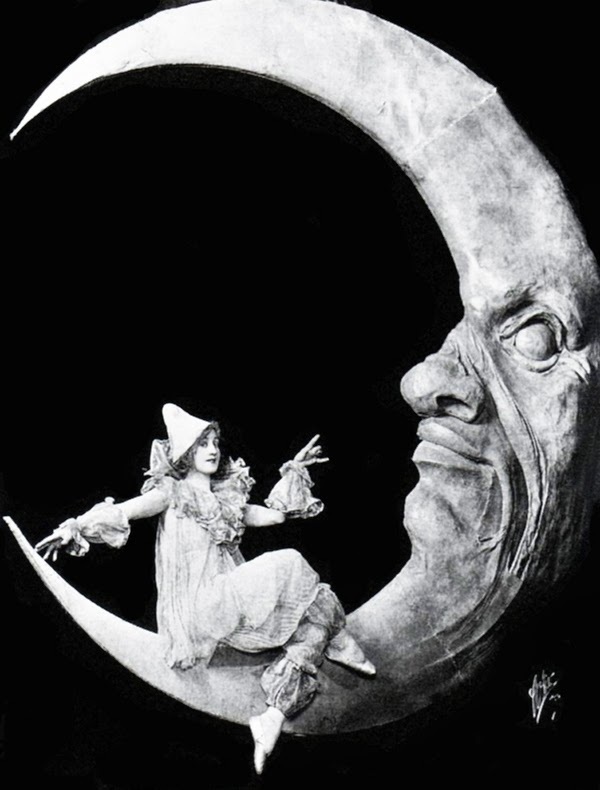 I wanted to make a Man-in-the-Moon similar to the turn of the last century images of people sitting on the moon. This image I think is of a Zeigfield follies girl. I love it. I surfed the web for moon images for inspiration and most of them that I came across were not that interesting. 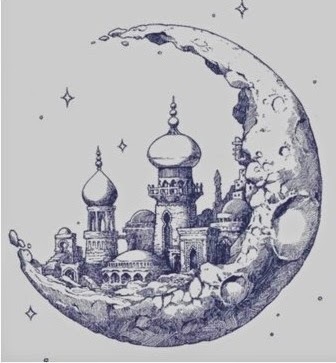 The edge of the moon in this illustration gave me the idea for the edge of the moon in the sculpture. I have quite an extensive design library. 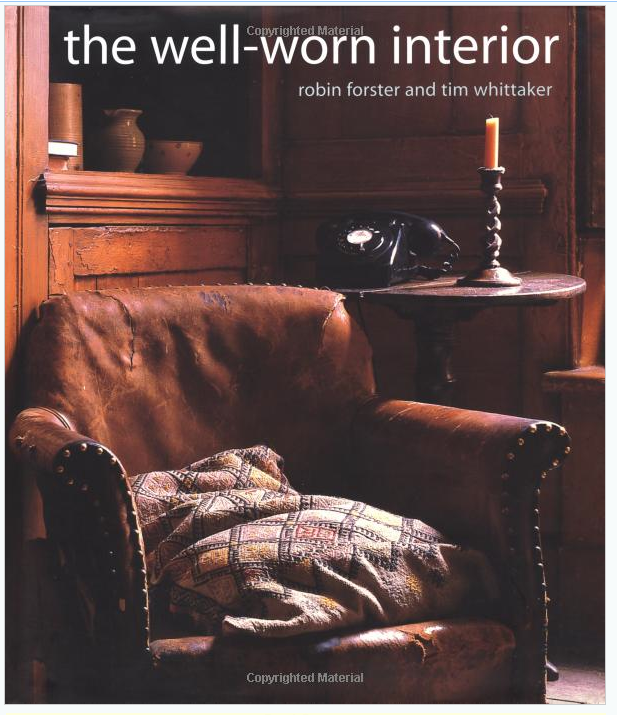 The two books that were of the most use was "The Well Worn Interior" by Robin Forster and Tim Whittaker. It is available at Amazon books. 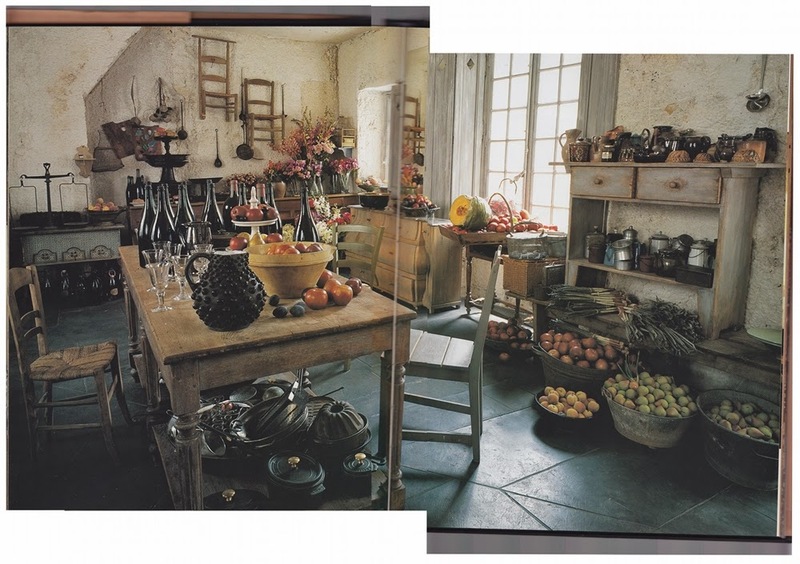 The full to overflowing shelves were what I liked about this particular room. The image was so large that I had to piece it together like a David Hockney photo montage with my Gimp program. This wall seems to have crept into the surface of the moon. 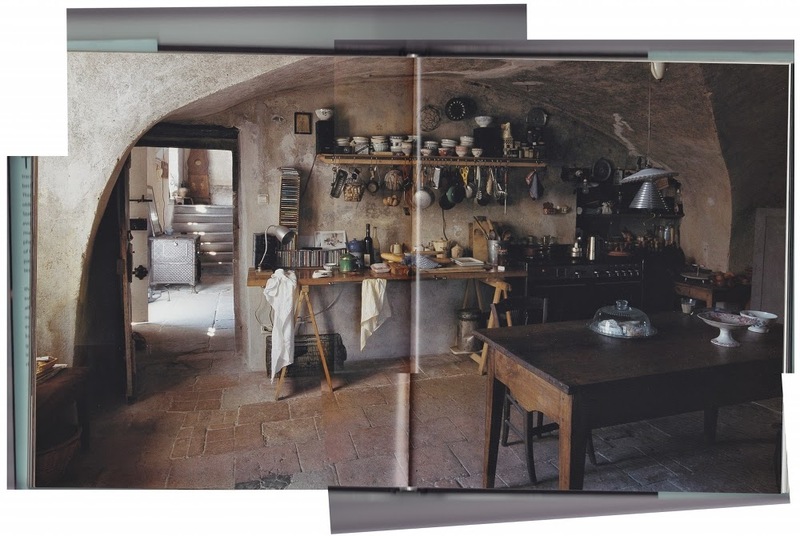 I look for specific images but also scan my books and images on the web. I put in tons of visual imagery and then let it start to spill out into the sculpture. This is an ongoing process through the duration of building and painting. I wanted the moon/room to appear as though it had been built, organically grown, always existed all at the same time. This book is amazing. It is chock full of totally over the top rooms. Divinely Decadent is also available through Amazon books. 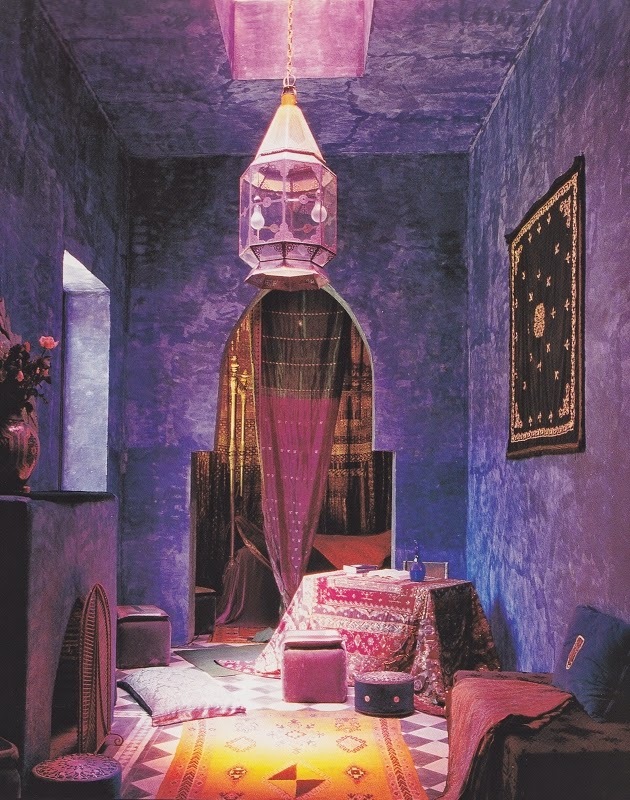 I love contemporary and traditional Moroccan architecture and interior design. 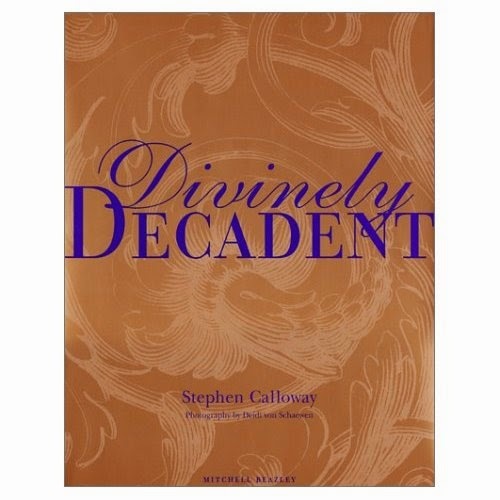 This image is from "Divinely Decadent" by Stephen Calloway. This wall is a traditional Moroccan treatment called tadelakt. It is similar to Italian stucco. It is made of sand and quicklime and polished by stone and black soap. Pigment is added to the mixture as the wall surface is created giving an incredible finished surface. I tried this on the interior wall of the moon but it just looked messy on such a small scale so I repainted the surface a solid purple. 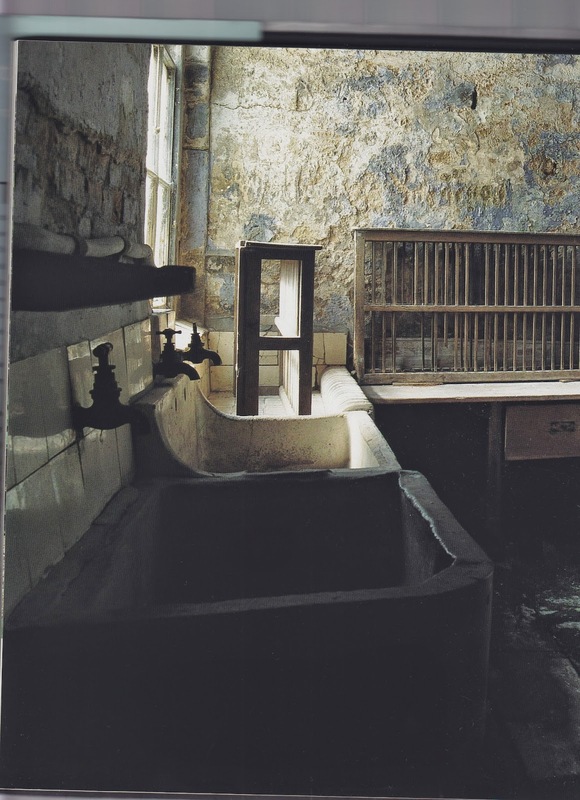 I am not certain why this room caught my eye but it did. The moon room seems to have the same qualities as this room; full to overflowing, comfortable, cottagey but grand. It also has a sense of being lived in and loved. 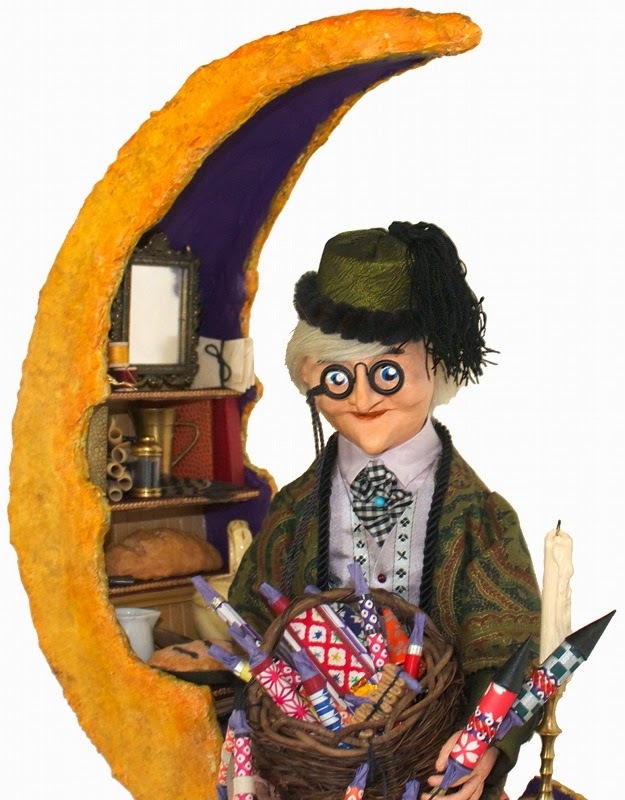 Here is the finished sculpture, "The Man-in-the-Moon Will be Having a Party". It stands about 30" high. Here is a better look at the top half of the sculpture. I like making any items that I cannot find. The pince nez glasses are handmade, including the hand plied cord holding them from falling to the floor. The moon started out with mottled greens, it didn't work. I painted it with mottled blues and purples, it didn't work. Finally I tried yellows and oranges and was satisfied with the look. The great thing about all of the layers of paint underneath the final colour choice is that the surface does not look new. The outside of the moon is darker orange, more pumpkinny looking. The inside is a lighter orange. 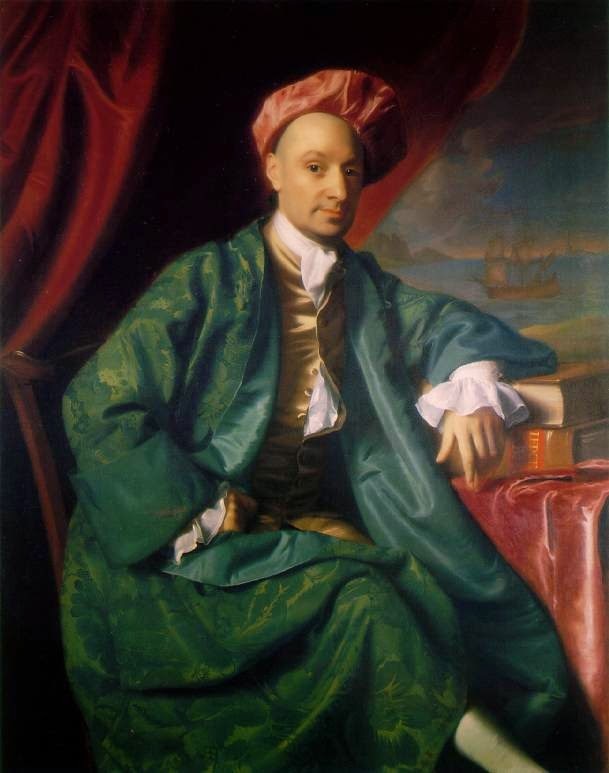 I wanted to put The-Man-in-the-Moon in a Victorian style man's dressing gown so I looked it up in Google and came across this fascinating blog entry about the banyan or man's dressing gown. 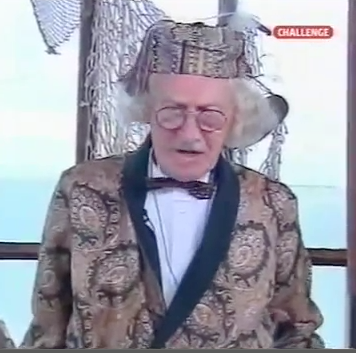 This character is from a British game show (based on a French game show). I liked the eccentric look of his hair and clothes, he definitely influenced the costume design. This close-up shows the interior shelving in the moon. The walls are wood panelled with coffee stir sticks. The shelves are covered in vintage leatherette from an old photo album held in place with gold Dresden nail head trim that has been aged with paint. 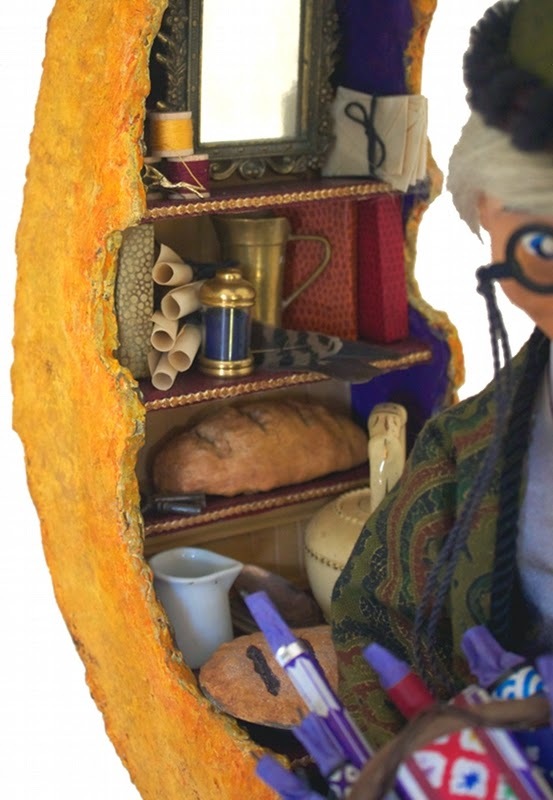 The three books, loaf of bread, berry pie, scrolls, quills, letters and fireworks are all handmade. This photograph shows the base of the sculpture. 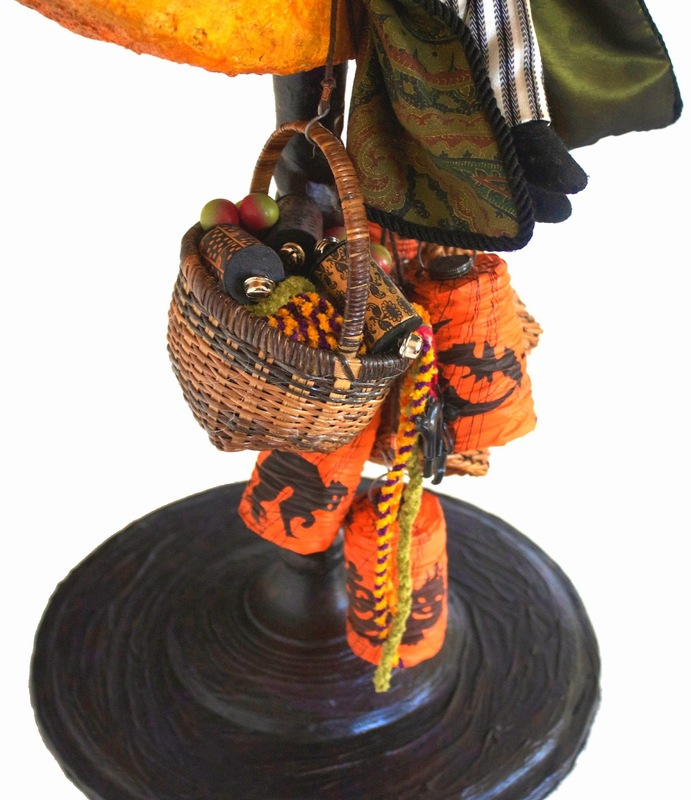 He has a basket filled with party decorations and handmade rattles. The festooning is handmade rope created from chenille yarn. The three rattles actually work. There are four handmade Japanese style lanterns and a jug of cider that is just visible in the background. I had to make the cork to go in top because it was missing or destroyed. Everything is hanging from linen cords on handmade hooks. This back view shows the jug to better advantage. Beside the Man-in-the-Moon is a handmade candle, a real one could melt. He is sitting on a cushion. That cushion was made to hide the way he is attached to the moon. I thought that the coat would hide everything, it didn't. I keep all bits of fabric, paper, wood, etc. because I will be able to use it later. I had a very narrow piece of brocade upholstery material that I made an "L" shaped pillow out of. Working the way I do is more like putting a jigsaw puzzle together and problem solving. I am glad that I had to add the pillow it completes the back as well as adding interest. Tucked under the shelving beside the pillow is a nest with two eggs in it. The base shows up black in the photo but is actually a mottled paint finish of light green, dark green, and purple that has two layers of black glaze rubbed over the colours. I wanted it to have depth when you looked at it. I had promised that I would show this piece before I left for Petaluma, California. I hope you enjoyed looking at it. I also hope I didn't ramble on about details to much but that is what the piece is all about - details. I am off to Hallowe'en and Vine tomorrow! I am so excited! I will have pictures when I get back.